Looking for the closest thing to Southern-styled home-cooked meal? 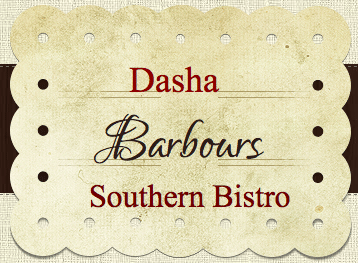 Look no further, because Dasha Barbours Southern Bistro is moving to the top of the charts. Big Momma’s and Franco’s have been popular choices for grab and go soul food, but at Dasha Barbours Southern Bistro you can choose to either pick up or dine in. Upon visiting, a host greets and seats you. The host happened to be the husband of Dasha, who co-owns the restaurant. The dining room had a vintage look with modern hints. Over the speaker plays a mixture of old and new school R&B from the likes of Destiny’s Child, Jagged Edge and Luther Vandross. The music is soft and not a distraction. The atmosphere was relaxing and feels homely. I ordered six-piece ranch wings, with collard greens and macaroni. At first, I was a little worried that it took quite a while to receive the food, but Mr. Barbour also checked in to make sure we were okay. He let us know that the chicken is breaded and seasoned to order, and new batches of food are cooked periodically to ensure no old or cold food is being served. The greens were cooked to perfection, leaving them flavorful and not too leafy, and the macaroni was crusted on top and cheesy in the middle. Lastly, the wings were extra crispy and seasoned well. You can tell they were freshly breaded and hadn’t been sitting for long. A swig of the “Dasha Punch” to wash it all down was the perfect touch. All in all, I enjoyed my time spent at Dasha Barbour’s Southern Bistro. The food was exceptional, beyond my expectations and not to mention, it was affordable. I only spent $18 dollars, including the tip. The service was excellent and the atmosphere was soothing. To Dasha Barbour, I tip my hat and my money.